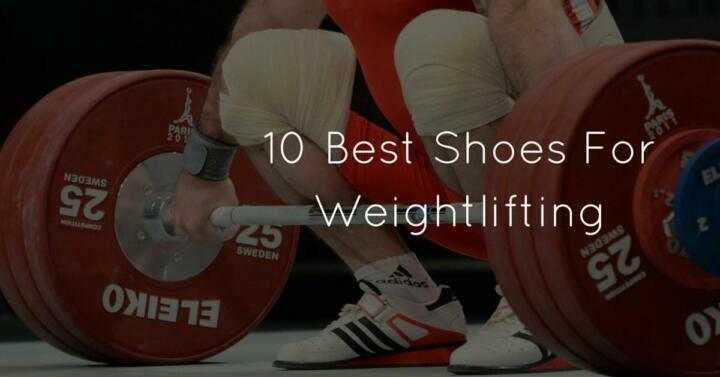 The best shoes for weightlifting can accelerate your lifting performance while keeping you safer under the bar. It’s all in the physics. Your feet are the primary links between your muscles and the stabilizing ground. 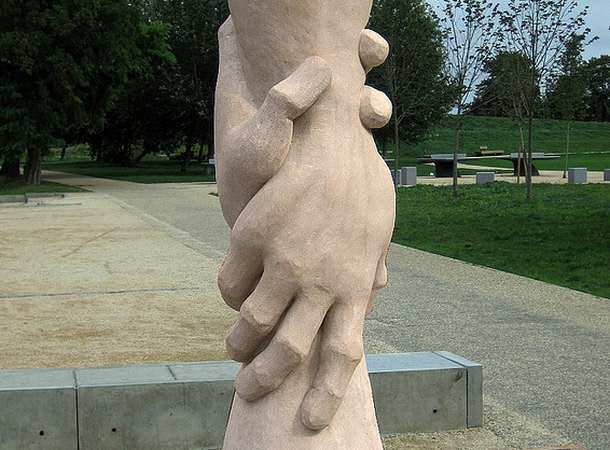 In the course of lifting, significant force moves through these vital links. 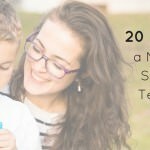 It can either help or harm your capacity. 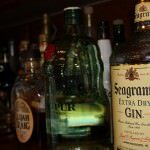 The wrong shoes will absorb more of the force intended for the bar, while the right shoes manage this force to your benefit. VS Athletics makes one of the best value shoes for today’s weightlifter. The brand is relatively affordable, yet delivers a solid shoe with double straps and a leather-reinforced flat rubber sole that can stand heavy loads. This VS Athletics specimen can show you the positive impact of having the right shoes for the job, without taking your life savings. That said, they are pretty ugly. And the heel runs high at 3.3 inches in a men’s size 10, so choose carefully. The Pendlay company, founded by Olympic weightlifter Glenn Pendlay, focuses exclusively on the sport of weightlifting. They know what makes a good WL shoe from personal experience, and this is evident in the brand’s Do-Win shoes. 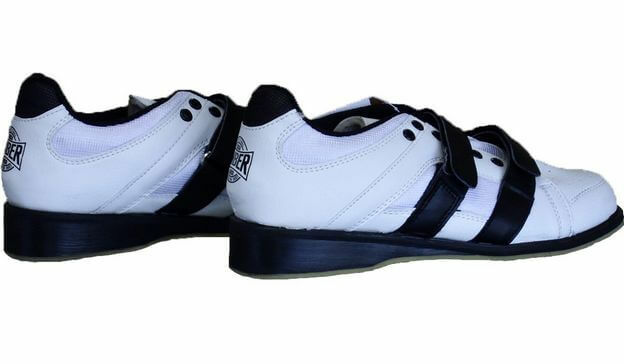 Pendlay’s custom Do-Win shoe is highly regarded for features like its three-quarter-inch heel, set at the recommended height for actual Olympic Lifting. With snug straps and a light build, they are also notably comfortable, which makes a huge difference after thousands of lifts. The Pendlay Do-Wins are produced for both men and women in multiple sizes and colors. The Nike Romaleos 2.0 are among the highest-quality shoes on this list; serious lifters should give the flagship Nike weightlifting shoes a close look. The coolest thing about the Romaleos is their authentic Olympic credibility. 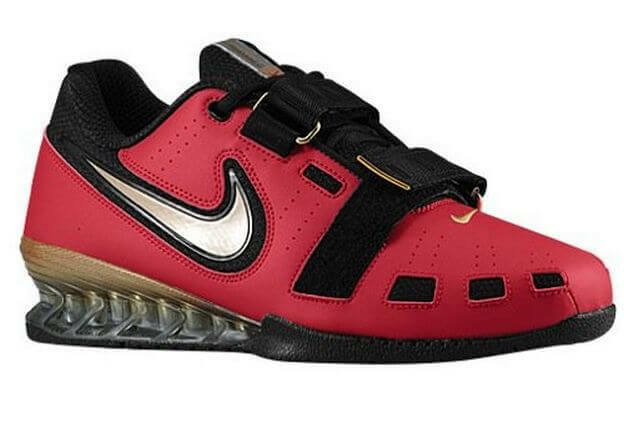 Built for the 2008 Games in Beijing, these Nike Olympic lifting shoes are widely worn among professional weightlifters, and for good reason. They facilitate significant improvements in all your core exercises. The Romaleos are not the heaviest or the lightest shoes, but they are strong as an ox and provide a dignifying level of breathability to keep your hardworking feet fungus-free. The snug heel is comfortable for most wearers, even for those with wide feet. And they look good. Before there was a market for weightlifting shoes, there was Adidas. Adidas was making weightlifting shoes before it was cool, and remains the bestselling brand in this niche, despite a variety of new entries. Take the Performance adiPower, which is as good a weightlighting shoe as any out there and the nicest one made by the brand. You may have seen them on the feet of actual Olympic lifters in the summer games. The adiPower has everything you would ever need in a long-term WL trainer and is the only real rival to the Romaleo Nike weightlifting shoes. 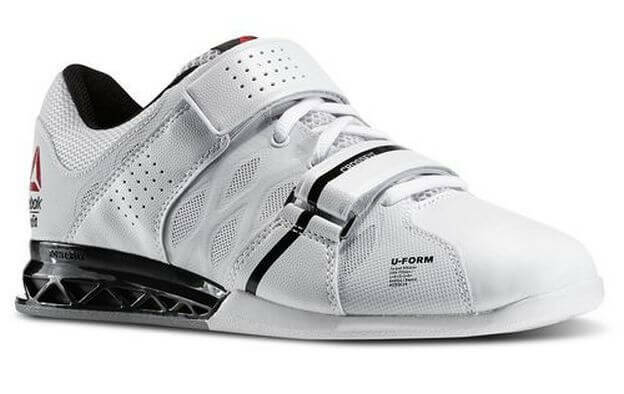 If you do intense Olympic lifting – and don’t have very wide feet – they’re among the best shoes for weightlifting available today. Now owned by Adidas, the Reebok brand has managed to stake its claim in the weightlifting space via Crossfit enthusiasts. Enter the Crossfit Lifter 2.0, a hybrid WL shoe designed for WODS that include more than just the basic Olympic movements. Unlike more traditional weightlifting shoes, these airy hybrids have a flexible forefoot sole. The design makes it possible to use them for box jumps, double-unders and other plyometrics. Baked with a slew of proprietary lab technologies to promote shoe performance, Reebok’s hybrid is ideal for Crossfit. 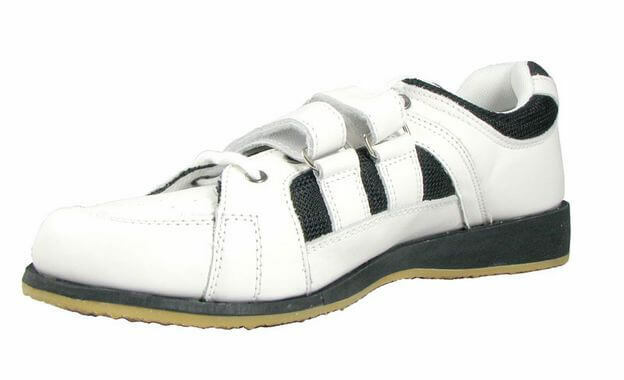 Yet there is still the expected heel lift and bottom-up base support you would expect in a good weightlifting shoe. It’s adequate for most WL purposes. Reebok’s Crossfit Lifters are among the lightest weightlifting shoes you can buy. 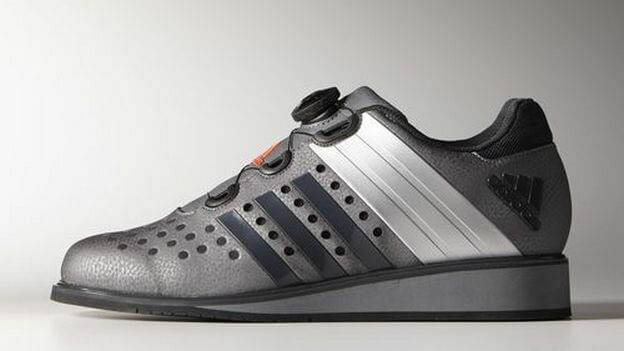 The Adidas Powerlift 2.0 Trainer is the most affordable alternative to the brand’s higher-end adiPowers. It is designed for Crossfitters and others who would be partial to a lighter-weight shoe with WL-grade stability. The Adidas Powerlift has a wide, flat base and grippy sole, achieving maximum floor contact for the most even distribution possible of the lifter’s weight. The midsole is a die-cut wedge of high-density foam, providing greater equilibrium with minimal compression. The upper parts are made of breathable light mesh and durable synthetic leathers for a nicer “foot climate,” as shoe manufacturers call it. Try the Powerlifts if you need your shoes to keep you as stable as a zen master without adding excessive bulk. Inov-8, a popular maker of running shoes, has made a splash among primarily Crossfitters with its Fastlift weight training shoes. These high-quality kicks are notably flexible and comfortable in the forefoot, with a structurally reinforced midfoot and heel plus edge support. Most striking is the very light weight of the shoe, given its strength. Yes, they are suitable for Crossfit, but lifters say they are just as good for lifting, improving your stance and safety under the bar without limiting lateral range of motion like more traditional WL chucks. Inov-8 has Fastlift shoes for men and women alike. Between Adidas’ uptrim adiPower shoes and entry-level Powerlift trainers lies the brand’s Drehkraft boots. Drehkraft is German for ‘torque.’ These shoes are a mid-market option with unique features to entice lifters, like the innovative Boa steel lacing system and flexible sidewall reinforcements. Drehkraft shoes are tough and provide nearly as much stability as the adiPowers. They are built to last for years of Oly lifting. 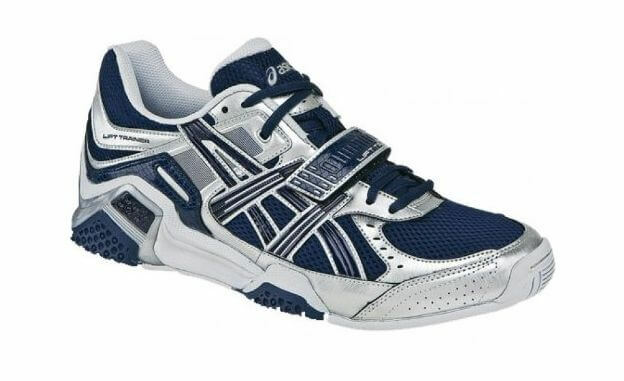 They work just fine for most weightlifting and are a bit cheaper than the adiPowers. 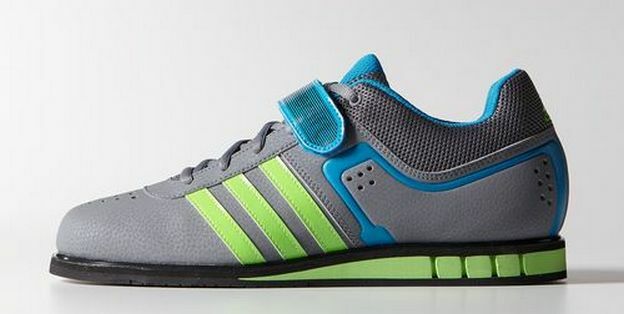 There’s not much to complain about here; these weight training shoes are another great product from Adidas. Amber Sporting Goods makes high-quality sports equipment, and has carried its good reputation into the Oly lifting arena with the Crossmaxxe v1.0. Like any good WL shoe worth its salt, the v1.0 enables deeper squats, heavier weights, and more under-bar safety. 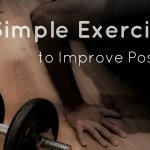 They aren’t as nice as Nike Olympic lifting shoes, but these basic weight training shoes will power up your sessions and won’t leave you in the poorhouse. The Crossmaxxe is perfect for cross-training that incorporates weightlifting, hence the lighter-weight materials. Not one but two instep straps, traction patterning, and an interior weight distribution plate make them one of the best lifting shoes. ASIC’s Lift Cross-Trainers, as their name suggests, are good shoes for cross-training. These black-silver-red shoes don’t have any crazy bells or whistles. But they do the job, and with reasonably durable materials. They’ve got synthetic uppers for aeration, midsole outriggers for stability, and rubber soles for traction. They combine a sturdy non-compressible heel with a flexible forefoot to yield a comfy multi-purpose hybrid, as useful for dead lifts as Bulgarian split squats. A pair of ASICs will especially appeal to Crossfitters; they are more strength-training shoes that can be used for lifting than the other way around.